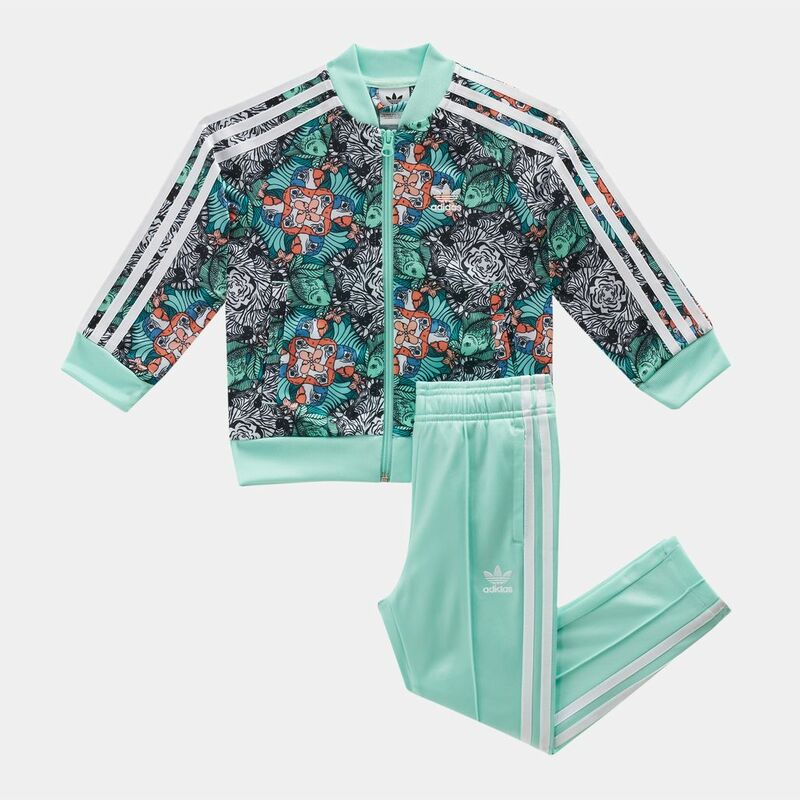 Get them livin' up the sumer months in the colourful print of adidas Originals Kids' Zoo SST Tracksuit for young girls. 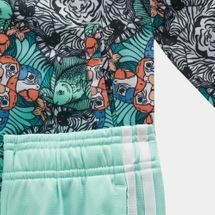 The tricot jacket boasts a full zip, ribbed SST-style collar, with seasonal graphic prints all over, while the pants play on one, block colour to create a modern look. The Three Stripes piping stands out, while the Trefoil logo on the chest and hip is also there to show their affiliation to a sports style heritage legend.